The CW has released the first promo for Supergirl episode 4.18, titled “Crime and Punishment,” highlighting the girl of steel in the middle of a manhunt, as the government and Agent Liberty try to stop her from being a hero. Did she really attack the White House? The president appears to think so! The new episode is scheduled to air on April 21. Check out the video below! Supergirl stars Melissa Benoist (Glee) as Kara Danvers/Supergirl, Mehcad Brooks as James Olsen, Chyler Leigh (Grey’s Anatomy) as Alex Danvers, Jeremy Jordan as Winslow ‘Winn’ Schott, Katie McGrath (Merlin) as Lena Luthor, Jess Rath as Brainiac 5, and David Harewood as Hank Henshaw/J’onn J’onnz. New to the cast for the fourth season is Sam Witwer as Agent Liberty, Rhona Mitra as Mercy Graves, and Bruce Boxleitner as Vice President Baker. 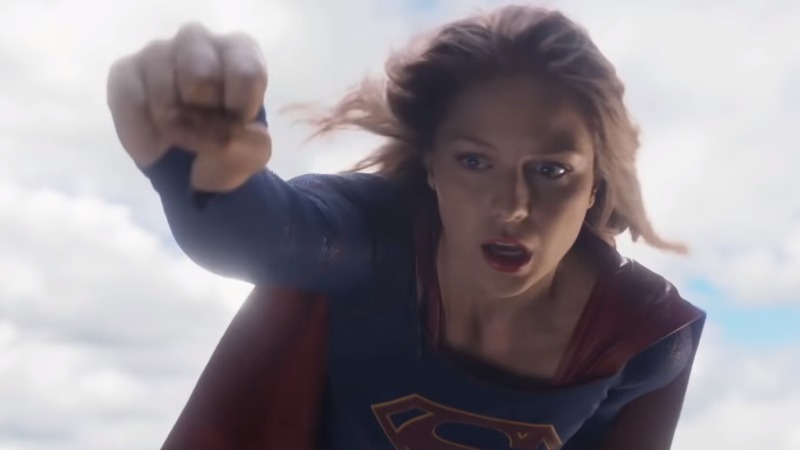 What do you think of this latest Supergirl trailer? Can she just fly away from danger and the nation’s most powerful enemies? Descend from the sky into our comments section below and be sure to let us know what you think!